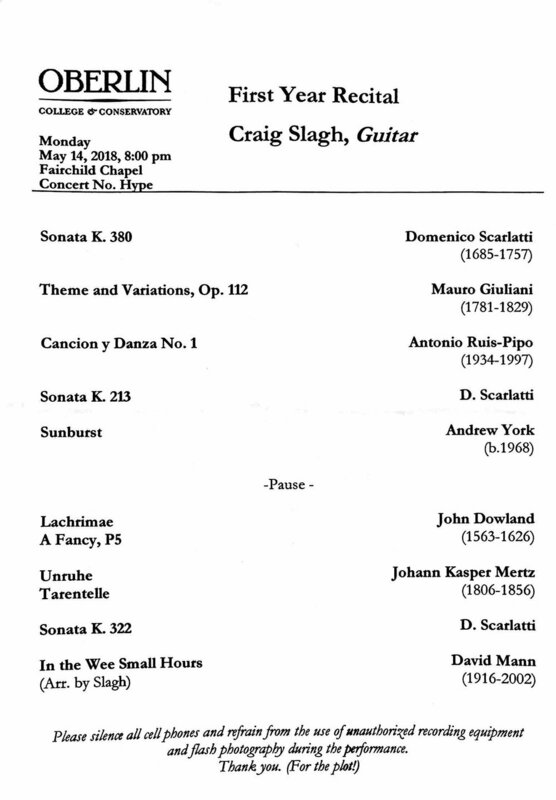 Craig gave his first full length solo recital at Oberlin on Monday. He programmed an impressive list of pieces from every style period and delivered the concert with professional élan. 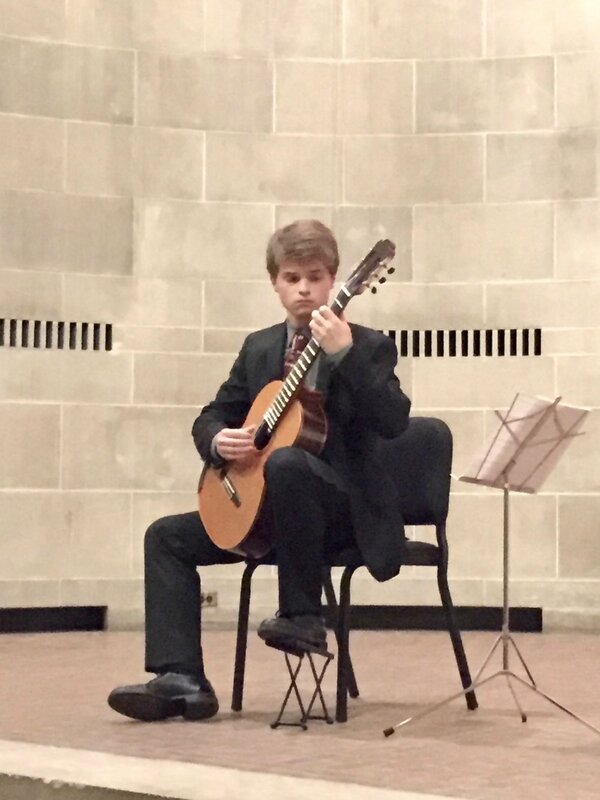 A large contingent from his home town of Cincinnati showed up, augmenting the already large crowd assembled, for one of the best-attended guitar concerts we had this year--a testament to Craig's personal bonds with so many people on campus, in town and all around. His robust sound easily filled Fairchild Chapel. 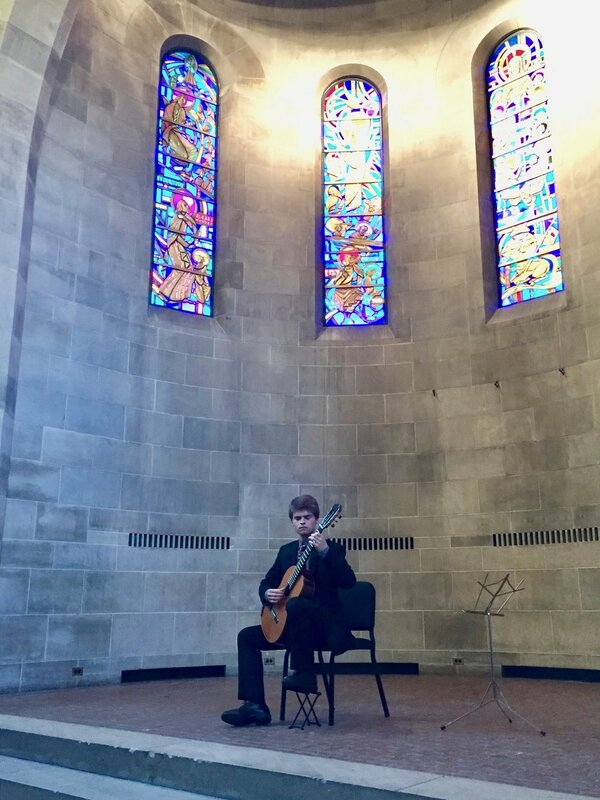 He featured works by Scarlatti, Dowland (on the Renaissance lute), Giuliani, Mertz, Ruiz-Pipo, and York, and included an arrangement he made of a tune made famous by Frank Sinatra. 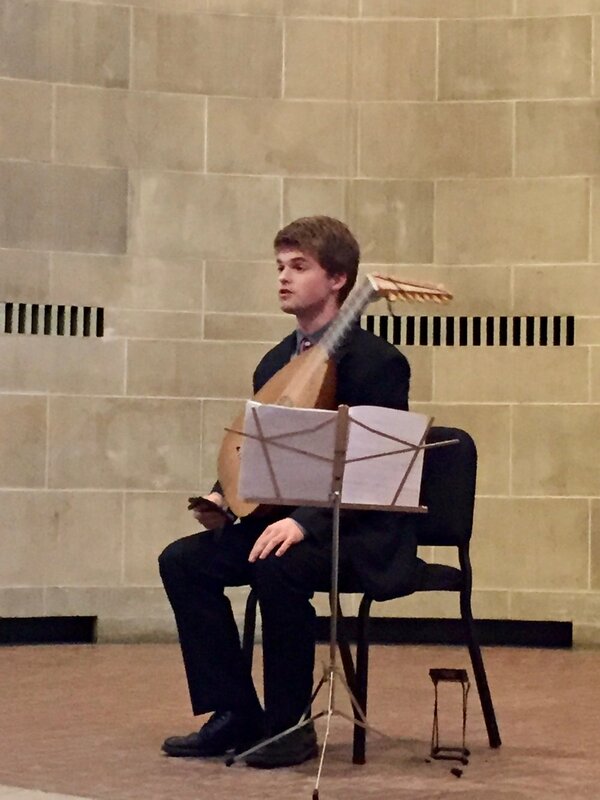 The rowdy and appreciative audience lunged into a standing ovation at the recital's conclusion, demanding an encore; Craig obliged with a piece by his former teacher, Jeremy Collins. This was a highly auspicious first performance. We look forward to what's next!! Here is a photographic retrospective of the performance; the program follows.